Your Venice honeymoon or romantic stay will start the moment you enter the first winding calle but here are a few suggestions that will give you some focus and enhance your romantic experience in Venice. Are you cruising with a special someone and want to make sure you seduce them enough they fall in love with you head over heals? Do you still have the wedding confetti in your hair and want to Venice honeymoon like a movie star? Cruising with your long-found soul mate and would do anything to see them starry eyed again? Take them to Venice! What makes Venice a honeymoon destination? With the element of water overwhelming the place and its delicate, lace-like architecture, the city is very feminine and romantic in its nature, perfect for a honeymoon destination. 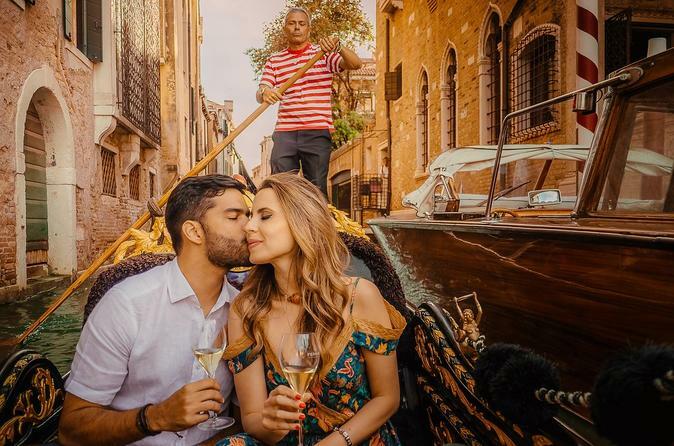 Your romantic stay will start the moment you enter the first winding calle but here are a few suggestions that will give you some focus and enhance the romantic experience of your Venice honeymoon. Wondering what are the best options for your Venice honeymoon hotels and accommodation? If you are staying in Venice before embarking a cruise ship, start your day by waking up in one of the romantic Venice hotels. Most of them being housed in old palazzos and evoking the times of baroque in their decor, it's not difficult to find a romantic hotel in Venice. But if money is not an issue, make your Venice honeymoon perfect by staying either in one of the hotels overlooking the Grand Canal or at hotel Danieli, the epithome of romance and the setting for many a famous love story: the one of George Sand and Alfred de Musset, Eleonora Duset and Gabrielle d' Anunzio, Maria Callas and Aristotle Onnasis to name just a few. If you want to make your stay even more personal and intimate, book an apartment and for a night or two pretend you actually live in this city. Visit the Rialto market and wow your loved one with fresh seafood meal cooked in your kitchen while you are both sipping on some local white wine. Actually, in Venice it is hard to find activities that wouldn't fit into Venice honeymoon things to do. Spend the morning away from the crowds in the center! Go to the islands of Murano or Burano or even the neighbourhood of Dorsoduro, Canareggio or the Jewish Ghetto. There, the pace is slower so you can stroll holding hands without being pushed or rushed by the crowds.There it's all quiet and peaceful so you can hear each other's soft whispers. 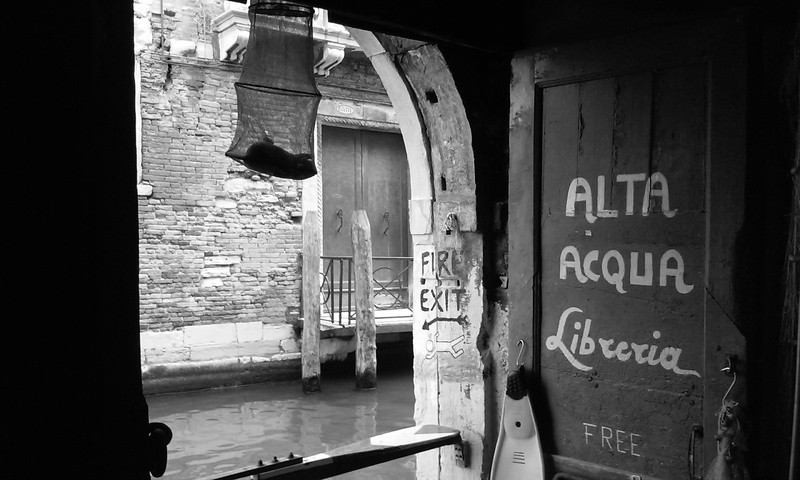 Returning back towards San Marco visit Libreria Alta Aqua bookstore in Castello where time seems to have stopped. If your loved one is a bookworm, they will love thousands of old books hoarded in this very unique place. Outside the store you will be welcomed by a fig tree and sphynx-like, mysterious cats sitting on the piles of prints and books. Explore the interior where piles of books are on display in an old gondola, bathtubs and wine barrels all under crystal chandeliers. Rest in a rocking chair overlooking a canal while picking out your favorite postcard to buy. Climb the stairs made of books to enjoy the romantic views. Pinch each other in disbelief...yes, you are having your Venice honeymoon! For light lunch pop into one of the traditional Venice bacaros, wine bars that serve inexpensive fish or meat bites, an Italian version of tapas, the so called cicceti. In the afternoon explore one of the Venice museums or galleries of your liking. You will find romantic, dreamy and grand interiors in the 18th ct museum housed in Ca Rezzonico. Returning back to piazza San Marco, enjoy in your afternoon tea in one of the first ever and most famous cafes in the world, Cafe Florian. If you really want to splash out and impress your darling, sit outside where you can listen to the orchestra, just be ready to pay for this pleasure. Florian's interiors offer a very cosy and romantic atmosphere in which even the famous lover Casanova wooed his girlfriends. In the evening, give your sweetheart a chance to dress up and proudly take them somewhere you can show them off: to see La Traviata or Madame Butterfly in the sparkly La Fenice Theatre or to enjoy some classical baroque music in San Vidal church. After the concert or opera it's time for a romantic candle-lit dinner. And there are so many options here. When the whole city, from the wide Grand Canal to the shadiest and narrowest calle, is the epithome of the romantic idyll, finding a romantic spot to dine at is easy peasy. 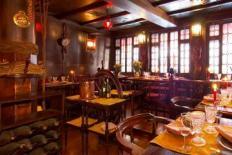 But the problem is: how to find a spot where to both enjoy the romantic atmosphere and eat well? For many years Venice has been accused for a very mediochre cusine. With so many tourists spilling out onto its piazzas and calle every day and not staying longer than 12-24 hours, most Venetian restauraturs stopped worrying about the quality of food they would serve them. They would, most probably, never ever see each others again anyway. I will never forget the story my former boss told me: once visiting Venice for business, he was in search for a place to have a quick dinner and sat on the terrace of a restaurant overlooking the side of St Mark's basilica. Before they approached him, the waiters exchanged a little joke: 'What do we throw in front of this peasant?'. But little did they know he was Italian and perfectly understood their exchange. What followed is not an example of the most romantic vocabulary that Italian language would contain so we'll skip it. Anyway, my point is if you would like to have a romantic honeymoon lunch or dinner, but your appetites are bigger than having a dry pizza or a bowl of overcooked bolognese, you should look further than the touristy spots around Piazza San Marco, Rialto or Academia. Searching for good food in Venice can be quite frustrating but if you hit it right, very rewarding. To differentiate restaurants that really cultivate the tradition of authentic and local Venetian cooking, a few years ago an association called Buona accoglienza was established. Listing 12 restaurants all around Venice, this association promotes places that use only the fresh local produce straight from the Adriatic sea or the gardens of the neighboring islands or mainland. They also offer a wide selection of olive oils, quality cheeses and extensive wine lists that will all contribute to your palate enjoying the romantic evening as much as your eyes will. After a godly dinner, let a gondolier serenade your loved one while having a ride in one of these elegant Venetian boats. Admire the lavish palace facades as you slowly glide down the Grand Canal or kiss under the Bridge of Sighs to be granted eternal love and bliss, as the legend says. Hotels in Venice - HotelsCombined.com allows you to instantly search and compare room availability and prices from all major travel websites! Viator Venice Tours and Shore Excursions - Compare prices to the ship offered shore excursions and book your own tours online!